It’s sad but true; in 2017, counterfeits are everywhere you turn. You can’t walk through any market these days without finding a plethora of fake goods lurking around market stalls all over the place. From counterfeit Gucci bags and Nike trainers to Burberry belts and even Venus razor heads, the fakes are everywhere. But there’s one thing that could be incredibly harmful to your health if you happen to accidentally (or purposefully) stumble onto a fake. That’s right; we’re talking about counterfeit cosmetics. 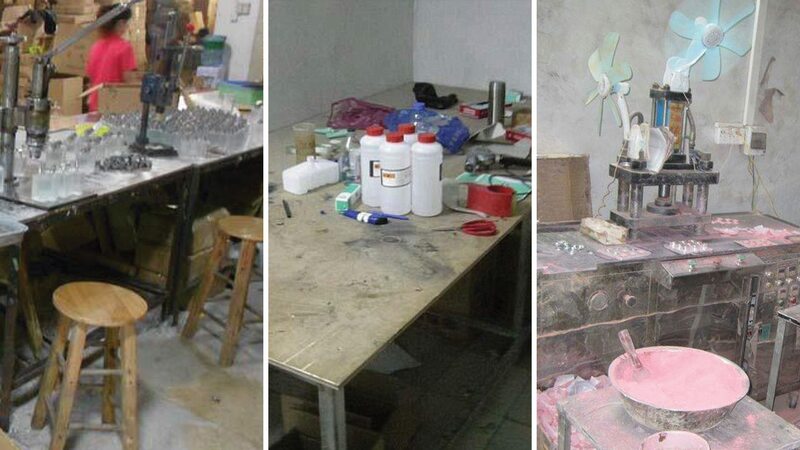 Counterfeit make-up has become a huge problem for the industry. 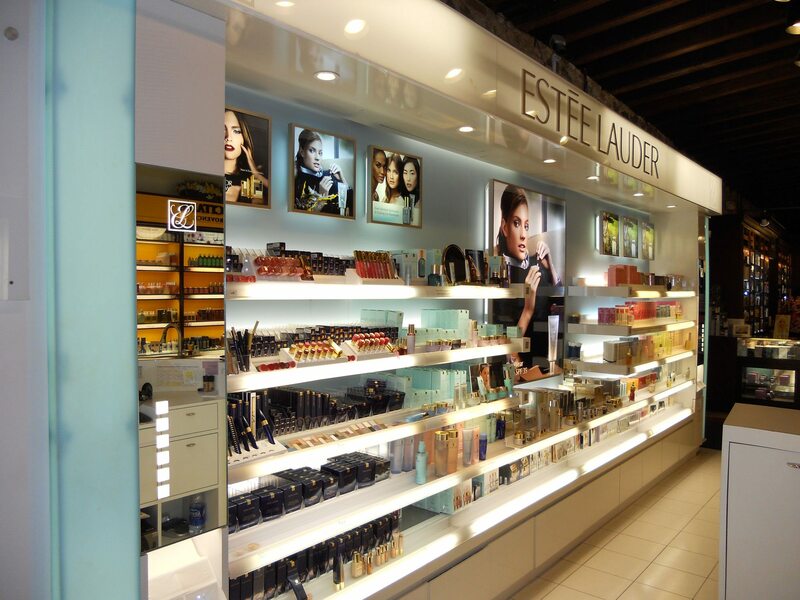 Global seizures of counterfeit products jumped by 25% between 2011 and 2013 according to statistics by the Organisation for Economic Cooperation and Development, and in the last year alone, the US government seized more than 2.8 million counterfeit items mimicking Estée Lauder brands – most notably lookalike MAC products. It’s got so bad, in fact, that The Estée Lauder Cos. – who owns MAC, Clinique and Estée Lauder itself – created a global security team in 2003, which is staffed by 42 agents around the globe, tasked with sniffing out the phonies at car boot sales, third-party retailers like eBay, and other knock-off sites. The counterfeit cosmetics trade has become such a huge problem, it’s even attracted the attention of some of the US government agencies, such as the Department of the Treasury and the Department of Homeland Security. But, you may ask yourself, considering the prices of such make-up products are so sky high, what really is the harm in using a counterfeit? It’s true that the make-up industry does bring in a ton of cash – we’re talking a 12% growth in the category in 2016, according to NPD and Allied. Some are even going so far as to call the industry “recession-proof” because make-up is often inexpensive to make in bulk, and the margins are high – more so when the marketing is right on point. This all makes it the perfect target for the counterfeiters. In 2015, 2,000 seizures of counterfeit cosmetics and beauty products cost the beauty industry about $75 million (that’s £56,884,970 to you and me). But the real danger with counterfeit products isn’t just the risk they pose to the industry’s profit margins. It’s actually much more sinister than that. 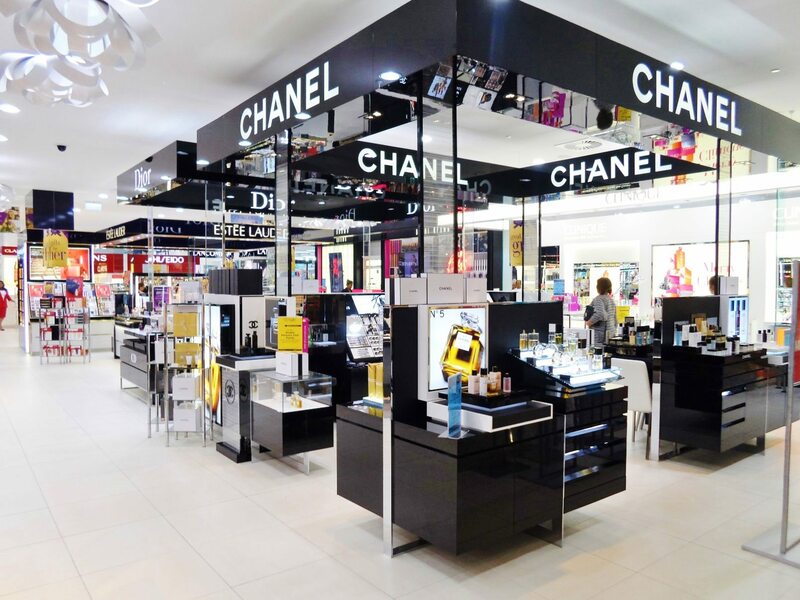 The FBI has warned that tests of some of the seized fake cosmetics that have come through their labs have found aluminium and human carcinogens in them, as well as dangerous levels of bacteria (yuck!) and even – wait for it – horse urine (double yuck!). Their report states that “Some of these products have caused conditions like acne, psoriasis, rashes and eye infections” and, Deborah Parker, Homeland Security’s Deputy Special Agent In Charge, told Refinery 29 in their article covering this story that these products even “pose a national health problem.” In their own internal investigations, brands like MAC and Anastasia Beverly Hills have found more deadly ingredients, such as lead, arsenic and even mercury. But perhaps the biggest worry with the counterfeit make-up industry is who it is that is actually purchasing the products. In Refinery 29’s article, they went undercover in a market to talk to sellers about their products, and one of the sellers in Santee Alley, who wanted to remain anonymous, told them that her clients were aware they were buying fakes, but simply didn’t care. They were told, “A lot of people who come down here are make-up artists” and that, even though the finishes and textures are a far cry from the originals, her customers only care about the label. 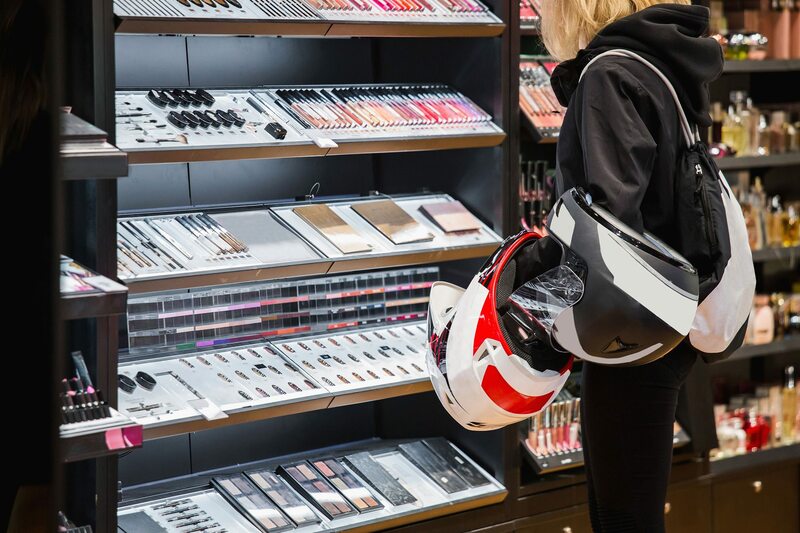 So, you may ask, if the risks involved in buying and using counterfeit make-up are so high, what’s actually being done to rectify the problem and stop the fakes getting onto the market where consumers can accidentally (or purposefully) purchase them? Unfortunately, these efforts haven’t stemmed the problem. 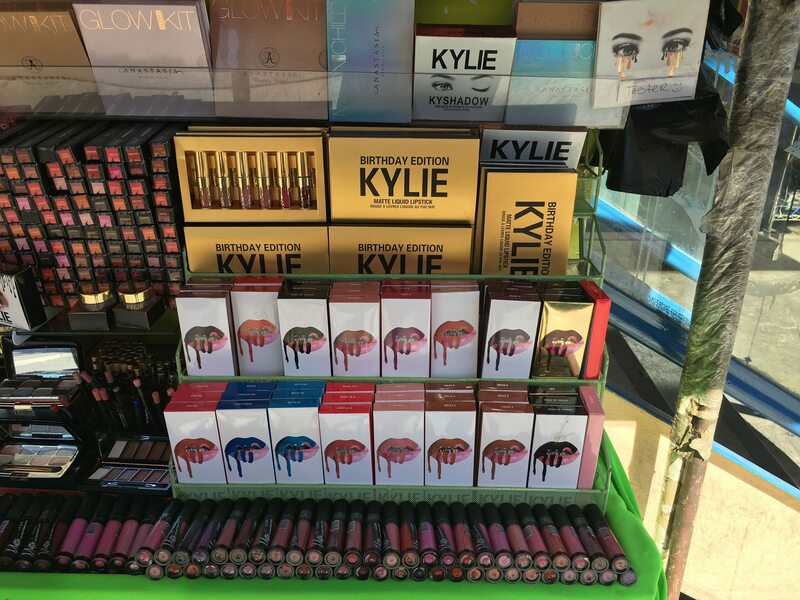 You only need to visit the Facebook marketplace to find an array of Kylie Jenner Lip Kits selling for as low as £5 a pop – and with the cost of shipping and buying these directly from Kylie Cosmetics own website being as high as it is, it’s plain to see that these cosmetics are not the genuine article. 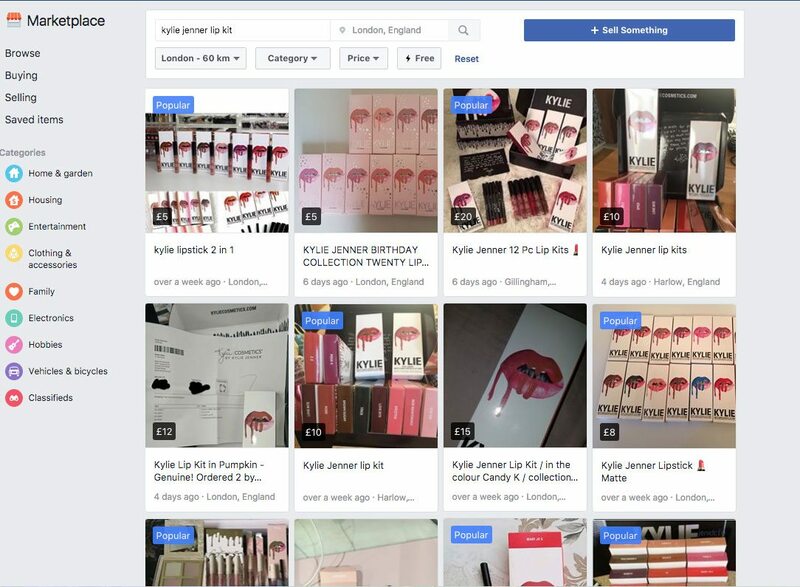 And it’s not just online retailers such as Facebook, Amazon and eBay suffering from an influx of counterfeit cosmetics – the fakers even set up websites under similar domain names to popular brands, and use Google Ads to attract customers to their online shops where they deliberately mis-sell counterfeit cosmetics as the genuine article. It seems, in the age of online consumerism, no one is safe from the onslaught of the fake cosmetics industry. But there are ways you can safeguard yourself from getting caught out. Jim Ricaurte, of the Allegiance Protection Group, told Refinery 29, “If you eliminate the demand, you address the supply,” and that consumers need to be vigilant and cautious with the products they choose to buy and where they buy them from. As a rule of thumb, it’s advised not to buy from tabletops or unauthorised shopping centre kiosks or websites (otherwise known as ‘grey market’ sellers because you can never be sure of the authenticity) and stick to verified retailers and sites you trust. If you think a third-party site is likely to be legit, it’s a wise idea to email the brand of the product you’re looking to buy before you commit to purchasing, and they’ll be able to tell you if they have an agreement in place with that third-party site to sell their wares or not. If all else fails, just stick to what you know and buy from the brand directly, or, if your purse can’t absorb that hit, simply research a cheaper alternative available from a pharmacy like Boots or Superdrug. You probably won’t get the exact same result, but at least you’ll be infection-free and won’t unknowingly be applying horse pee to your face. What are your thoughts on counterfeit cosmetics? Have you ever accidentally purchased a counterfeit? Share your experiences with us in the comments on Facebook and Twitter.